There was a state called zhou (zhōu 周) in the chinese history. 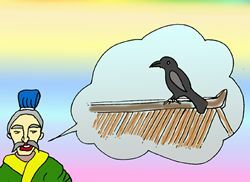 One day, the king of zhou asked his officials for advice on dealing with prisoners of war.An official said, "i once heard if you love someone, you are intended to love even the crows on the roof of his house; if you hate someone, you are intended to hate even the walls and the parapets of his. The prisoners of war were enemies fighting against us. In my opinion, we'd better kill them all." 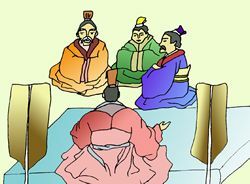 During the Spring and Autumn Period (chūn qiū 春秋时期,770-476 BC), there was a man in the State of Qin whose name was Sun Yang (sūn yáng 孙阳). Sun Yang was very expert in looking at horses and judging their worth. People called him Bo Le (Bo Le was the name of one of the celestial bodies and was fabled to be in charge of heavenly steeds), and he was often asked to appraise and select horses. Sun Yang worte a book entitled The Art of Looking at Horses and Judging Their Worth, based on his experiences and knowledge accumulated over the years. The book was also illustrated with the pictures of various horses. Sun Yang had a son who thought it was very esay to appraise horses according to the book. So he took it with him to look for fine horses. He found the characteristics of a toad fit very well the characteristics described in the book. So he happily took the toad back home, Sun Yang did not know whether he should laugh or cry. "That is just what we call looking for a steed with the aid of its picture." Later, people have used the set phrase "look for a steed with the aid of its picture" to refer to handling affairs mechanically in the outmoded ways without being flexible. Sometimes it is also used to refer to trying to locate something by following up a clue. 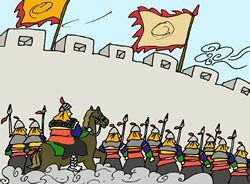 In the Spring and Autumn Period (chūn qiū shí qī 春秋时期,770-476 BC) ,there was an expert archer in the State of Chu (chǔ guó 楚国) called Yang Youji (yáng yóu jī 养由基). To test his skill, someone chose three leaves at different heights on a willow tree, and challenged him to hit them in order. Yang Youji stood more than one hundred paces away, and hit the three leaves in order. 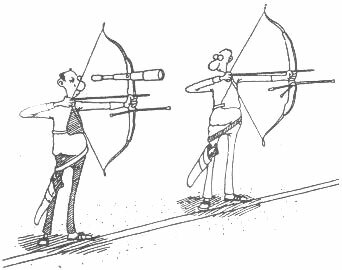 This idiom describes excellent marksmanship. Later it became used to indicate great and assurance. 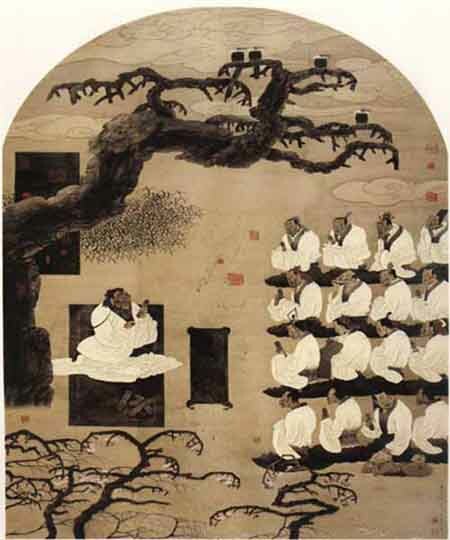 There once was an impatient farmer who lived during the Song Dynasty (sòng cháo 宋国,960-1279 AD). Everyday the anxious farmer would measure the growth of the crops. To his dismay, his crops were growing much slower than he expected.The farmer racked his brains trying to find better ways of planting in order to get quicker results. One day he finally came up with a solution. He started to physically pull the crops out of the ground, thus making them taller. 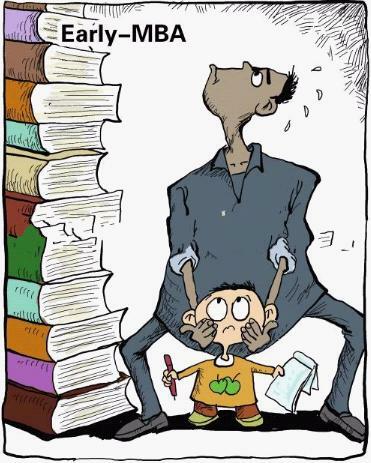 The farmer worked very hard and at day’s end was physically exhausted but mentally happy as his plan had produced the desired results.When the farmer went home, he told his son of his “brilliant” method. His son went to the field only to discover that all of his crops were all dead. 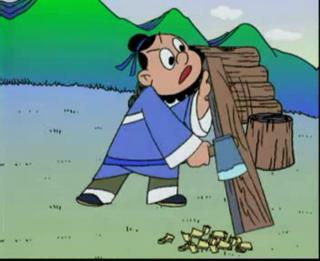 Lu Ban (lǔ bān 鲁班) was supposed to be a consummate carpenter in ancient times. It is said that he once carved a wooden phoenix that was so lifelike that it actually flew in the sky for three days. Thus it was considered the height of folly to show off one's skill with an axe in front of Lu Ban.